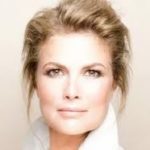 A Nomination Event, March 24th, is planned for Tamara Taggart, candidate for Vancouver Kingsway with the PM in attendance. The Prime Minister will formally declare her candidacy. All volunteers and members are invited! Tell us you’re coming! This event is free! RSVP here! Space is limited! You can receive an email notification when we publish a new Blog Article (Post). Complete the form under the heading Subscribe to New Posts in the right column of any Web page. You will receive a confirmation email containing a link which you must click to confirm your subscription. Follow these steps to receive email notifications for any comments to Blog Articles (Posts) that you yourself author. Click the Leave a comment or the 3 Comments link to the left of a Blog Article (Post). The number, in this example 3, varies depending on how may comments have already been made. Enter your comment in the Start the discussion… area. In the Notify of drop-down box, select the “new follow-up comments” option. Click the right arrow to the right of the Notify of drop-down box. 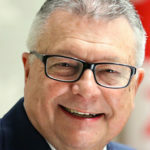 The Honorable Minister of Public Safety is expected to make an announcement in Kelowna; and later, will meet with Liberal supporters for a Meet and Greet. Remember to RSVP! Minister of Seniors Filomena Tassi – visit cancelled due to snow. All registered Liberals are invited to a Meet and Greet with the Minister of Seniors, Filomena Tassi, Wednesday, February 13, 5:30 – 8:30pm at the Vancouver LPCBC office #460 – 580 Hornby Street. This is the MInister’s first visit to the area and we encourage everyone to come out to meet her! Following the Meet and Greet, LPCBC will have phone banks and stations set up for anyone who would like to stick around and dial in to support the by-election. 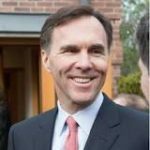 Author Judy BergPosted on February 6, 2019 February 12, 2019 Categories Uncategorized3 Comments on Minister of Seniors Filomena Tassi – visit cancelled due to snow. Kelowna was host to the biennial LPCBC convention, November 16, 17 and 18th and to the SLCBC AGM. Attendance at the AGM was record setting at more that 60 seniors. The change of age for membership from 65 to 60 could have been a contributing factor but the excellent leadership of the SLCBC Executive under the very able leadership of outgoing President Rabi Alam over the past three yeas has certainly been influential in attracting more seniors to participate in the process of communicating the interests and concerns of seniors into the policy process. 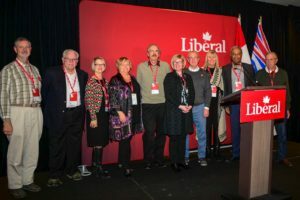 Key note speakers were MP for South Surrey and White Rock, Gordie Hogg; and MP for Delta, Honorable Carla Qualtrough, Minister of Public Service and Procurement and Accessibility. Still Room on the Bus! 22 bus seats still available at the Seniors rate of $72.00 (from Vancouver) return plus enjoy the Seniors discount at the Delta Grand hotel! Exciting guest speakers at the Seniors AGM 3:30 – 5:30. Be inspired by MP Gordie Hogg talking about what Seniors can do for election readiness. Minister Carla Qualtrough will inform you about the new Minister of Seniors mandate. Lots of time to ask questions and mingle! Book your tickets! Take advantage of this great opportunity to become involved in the future of your country! …just make sure you don’t miss the fun! Registration for the LPCBC Biennial AGM held in Kelowna November 16-18 is now open! Early bird registration ends October 26th so make certain you don’t miss out on the savings…all you have to do is Just click here…and you are almost there! 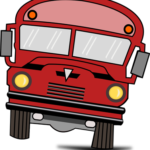 And, if you are not up to crawling…why not ride the bus? For a mere $72.83 you can join fellow Liberals all the way from Vancouver Island – just click here! 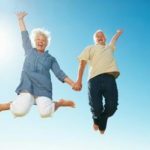 We want to encourage large numbers of Seniors to attend the 2018 Convention in November in Kelowna. Please note: the age for membership in the Seniors Commission has recently been changed from 65 to 60 years old! Join us to influence the future of Seniors in Canada. Keep tuned to this site for information on travel and hotel offers! The SLC Charter has received approval and is now posted in the Documents section of this website. There is a password to enter this site. If you have lost or forgotten the password, leave your request in the comments section with your email address. Most significantly, the age for inclusion as a Senior in the SLC Commission has dropped from 65 to 60 years. Welcome aboard, all you energetic youngsters – now is the time to have input to policy that will shape your future!